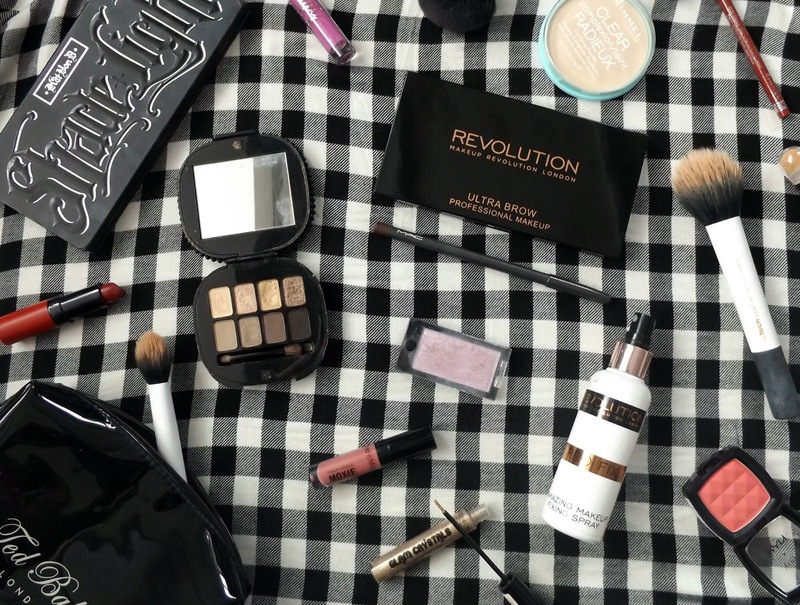 I love makeup although I do tend to stick to the same products, I wear it almost everyday. 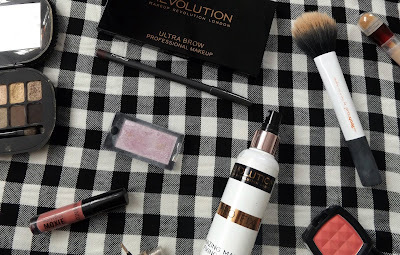 I never feel quiet ready to face the world without it unless I'm heading out to the gym (where I've learnt from previous panda eye experience that they don't mix) so I thought I'd share my top 5 makeup products I use everyday. I'd say my top 5 contain some high end brands but the majority are from Superdrug or Boots. My can't live without blusher is even a cheeky little find from the T.K Maxx beauty aisle! I've spent years testing and trying out high end products but apart from a select few, I've never found them to be worth the cash. 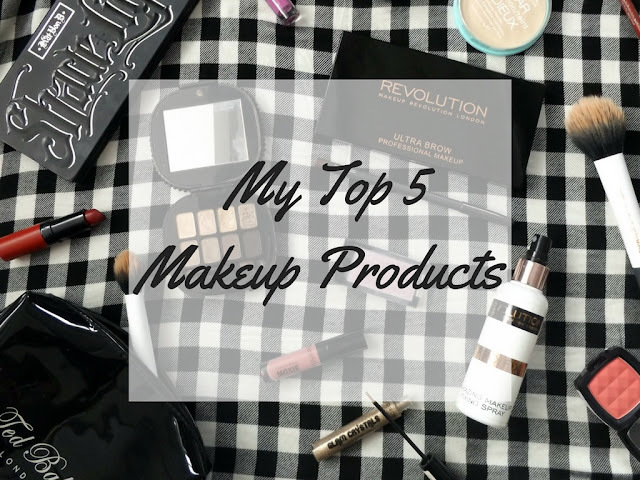 So not only are these top 5 my everyday saviours but ones I've been turning to for years! My foundation of choice is Maybelline Dream Satin Liquid Foundation in shade porcelain. Not only does it come in at a pocket friendly £7 (ish) but it's super easy to blend and build, offers an air-brushed finish and lasts really well. The range has loads of different shades too so it's fab for the summer and winter months. It lasts really well too, dries quickly and doesn't feel cakey or dry. 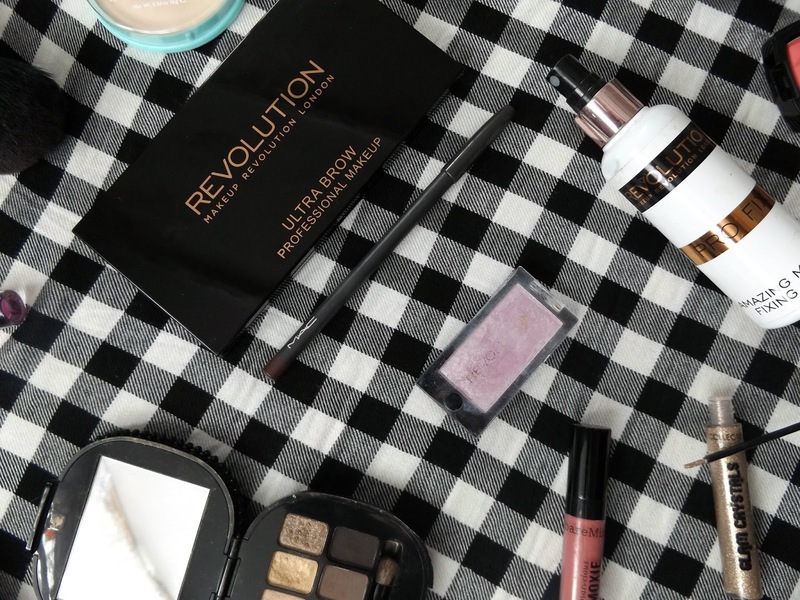 I've tried lots of foundations from high end Mac to super budget George at Asda's own and nothing compares for me! Eyeliner is probably what I'm best known for. It's extremely rare that I don't have a cat eye of some description and I always feel so much more confident with it on, so needless to say I've spent many years trying just about every eyeliner on the market. From gels, pens, pencils, and everything in between, high end and low budget and I always come back to the same one, Rimmel Glam'Eyes Professional Liquid Liner in Black Glamour. At just over £5 this stuff is a miracle worker. It doesn't smudge or flake or crack and thanks to it's gorgeous long brush applicator it's a dream to apply. I used to always opt for Mac blushers, I loved the quality and colour range but I am trying to go cruelty free so I've replaced my Mac blushers with one I brought on a whim in T.K Maxx. I have a few bits and pieces from Nyx but I'd never tried their blushers before but for a bargain £2.49 I thought I'd give it a shot. I haven't looked back and I've brought loads more Nyx Blushers are amazing quality, offer some fab colours and last for ages. They blend beautifully and even the smallest amount of product offers brilliant coverage. 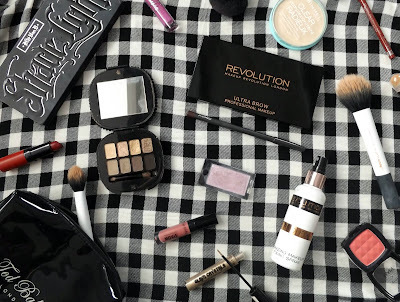 What are your top makeup picks?